Ever wondered what a four-hands dining experience would be like? Imagine the coast of Southwest England meeting the Northeast Italy, whom then decides to make a friendship pact with one another. An exceptional relationship is then borned – and this time, it’s right within the food menus that you will savour between 18th and 19th of September. Yes, you got it. 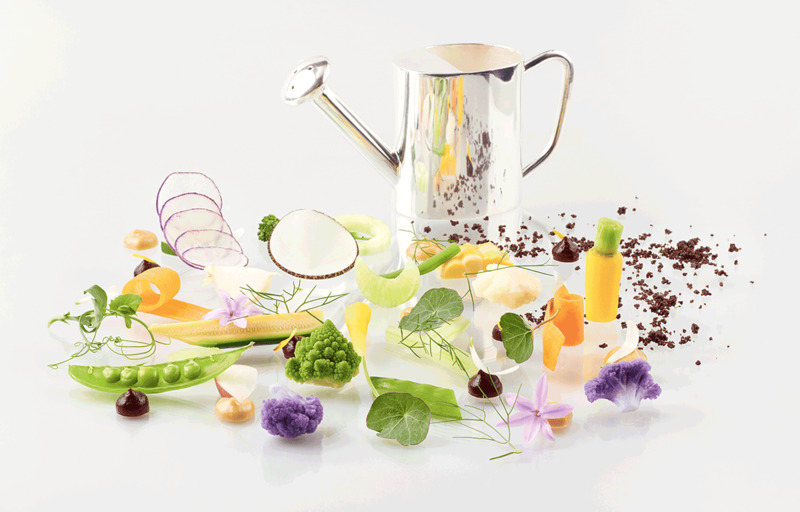 It’s actually two chefs with differing styles coming together in the kitchens of JAAN, a Michelin-starred, modern European restaurant at Swissôtel The Stamford dedicated to showcasing produce-driven fine dining. JAAN’s highly-anticipated four-hands dining will see Tokyo-based Michelin-starred and multi-award-winning Chef Luca Fantin coming to Singapore, collaborating with JAAN’s Executive Chef Kirk Westaway to bring a media masterclass, a six-course lunch and two eight-course dinners, held only this Tuesday and Wednesday. You can expect the English Garden from Executive Chef Kirk, with expertly sourced, premium, hand-picked ingredients that bring one’s mind to his fondest English memories, while Chef Luca performs a contemporary reinterpretation of the Spaghetti Monograno Felicetti with Caviar that evokes the taste of Italy. Dishes presented at the six-course lunch will include, freshly picked fruits and vegetables served with a light Scottish seaweed and herb broth that comes with a custom-made watering can that you would like to “water” your “vegetable garden” with, and a luxurious Italian pasta made with the purest alpine water and organic wheat! If you are not a lunch person, you may however, go for the exquisite eight-course dinner that will bring on an nomadic journey with Chef Luca’s Signature King Crab with Uni (paired with the crisp 2017 Riesling) and Chef Kirk’s Line Caught Halibut with flavourful purple artichoke purée and blanched rolled kohlrabi. So, when someone asks you again about a four-hands dining experience, it’s safe to say that your taste buds were in for a great time at JAAN! $298++ per person inclusive of a glass of Krug. Wine pairing available at additional $232++. $188++ per person. Wine pairing available at additional $108++. For reservations, please call +65 6837 3322, email jaan.bookings@swissotel.com or visit www.jaan.com.sg.